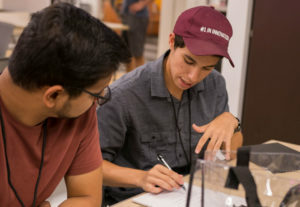 Help our students develop their ideas at Devils Invent: NKK SmartSwitch, a weekend-event for our students to hone their innovative thinking and building. All volunteers get a free t-shirt and eat for free throughout the weekend. If your Fulton Student Org members volunteer they’re eligible for Dean’s Funding points! Questions? Contact Cheyenne Camarena at cheyenne.camarena@asu.edu.